I have a habit of deciding I like something and then really liking it, beyond all logic. Bugs Bunny cartoons. Mexican food. Thomas Jefferson. The Beatles. Sometimes it turns out OK. I decided Thomas Jefferson was my favorite dead president when I was about 8 years old. Then later I found that he wrote the Virginia Statute for Religious Freedom and was pretty close to being an atheist. So that worked out. Other times things don’t work out so well. I decided early on that Emily Dickinson was my favorite poet. While I still like her (“Abraham to kill him” is one of her best), if I had it to do over again I’d probably choose Walt Whitman as my favorite – though I’m also a fan of Dylan Thomas’ “Do not go gentle into that good night“. Except that it really isn’t a parody of Dickinson, as Dickinson’s poems stayed locked in a drawer until 1890, while Huck Finn was published in 1885. Anyhow . . . I chose “The Wizard of Oz” as my favorite movie a long time ago, after seeing it again and again as a very small child. Yes, dear readers, back in the dark ages called the 1970s we didn’t have DVD players and video on demand. If you missed The Wizard of Oz that one night it was on, you missed it. I didn’t really know why I chose that movie as my favorite. But some recent thinking and reading about the movie have made me realize something dramatic. 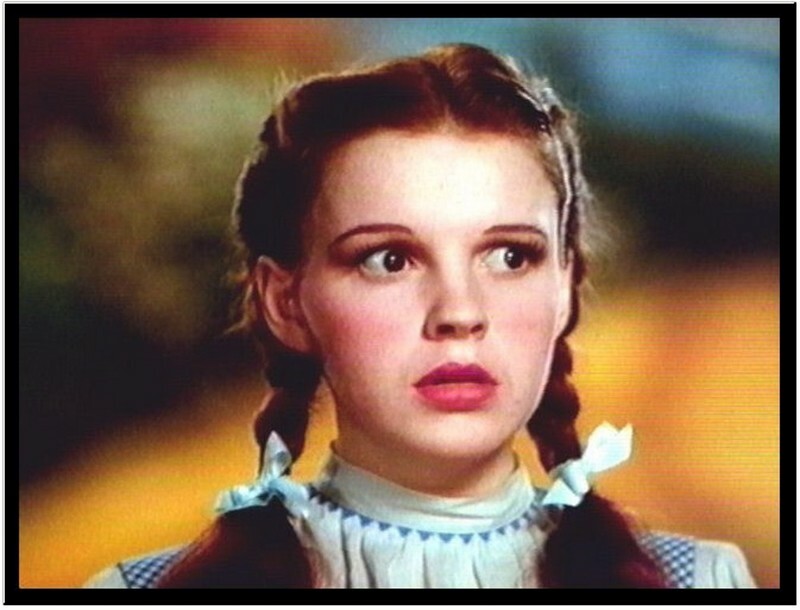 The Wizard of Oz is an atheist manifesto! Consider this. Each of the characters – Dorothy, the Scarecrow, the Tin Man, and the Lion – are on a quest to find something they already have. They don’t need a magical figure to give them what they want. They need only look within. We see this again and again: when Dorothy, searching for home, finds kindness all around (because, of course, of her own kindness); when the Scarecrow, wanting a brain, plans out the strategy for the group; when the Tin Man, wanting a heart, cries himself into corrosion; when the Lion, wanting courage . . . well, ok, he was pretty cowardly. But it isn’t brave if you’re not scared, right? When the group finally arrives at The Emerald City, they ask to see the Wizard. Group: We want to see the Wizard. Gateman: The Wizard? But nobody can see the great Oz. Nobody’s ever seen the great Oz. Even I’ve never seen him. Gateman: Because he, uh…, you’re wasting my time. And, of course, the joke is that there is no Wizard. He’s a fake. A humbug. Pay no attention to the man behind the curtain. Later on, Glinda reveals to Dorothy the truth. She had the power to go home all along, just as the others had the power they thought they lacked. She didn’t need a Wizard, or anyone else. She only needed to learn to trust herself. She could save Toto, protect her friends, defeat witches with just a bucket of water. Was this movie where my skepticism started? Trust yourself. Authority is just some guy from Omaha who’s as lost as you are. Wicked witches look scary, but a little water (plus the desire to help your friend) and they melt away. Lions and tigers and bears are just creatures trying to survive (Oh my!) And people (or Gods) who use fear and intimidation get what they deserve from those of us who know better. “You ought to be ashamed of yourself. Frightening him like that when he came to you for help!” You go, Dorothy!